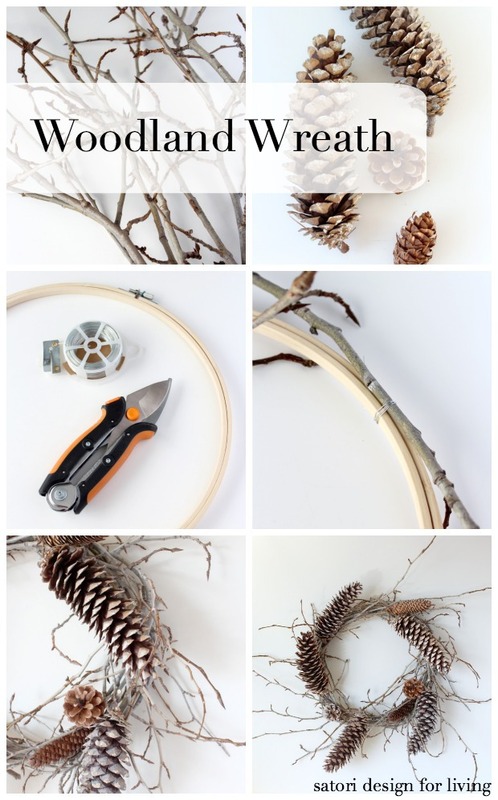 This woodland wreath can be made using twigs and pine cones gathered up on a family nature walk. 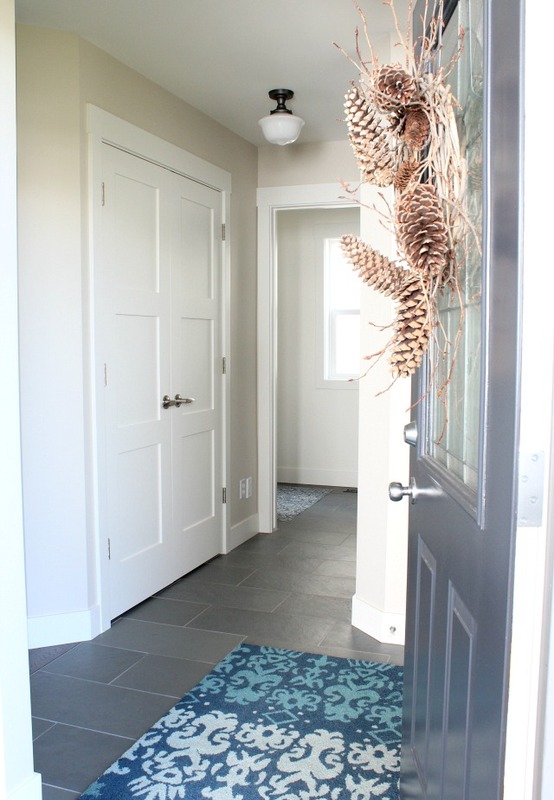 A fun and thrifty home decor project for fall! I’m thrilled to be kicking off the One Item Project Challenge today. If you recall, I started this series two years ago as motivation to get a few projects done before the busy Christmas season, as well as the opportunity to collaborate with some of my blogger friends. Working by myself from a home studio can feel isolating at times, you know? This go-around, I have a very talented bunch joining me, including Shannon from AKA Design, Lucy from Craftberry Bush, Virginia from Fynes Designs, Krista from The Happy Housie, and Jamie from So Much Better With Age. For this series, each blogger was given a specific craft or decor item to work with per week and was challenged to create or decorate something with it. 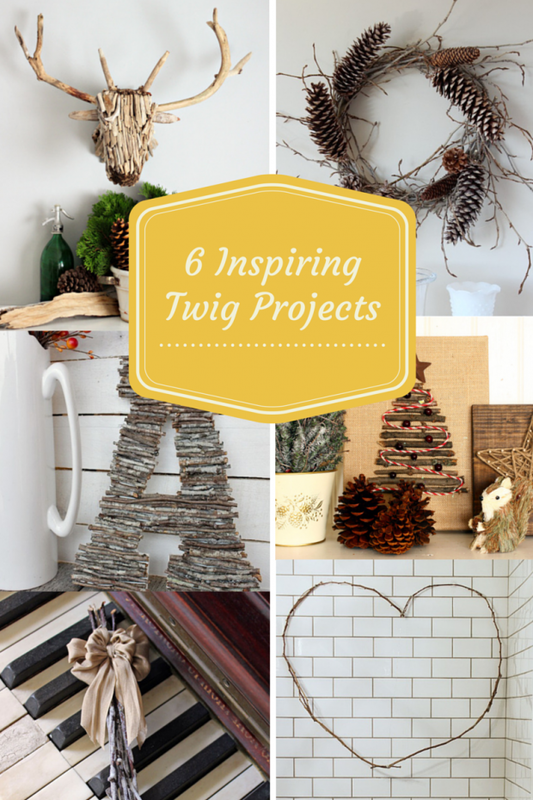 To kick off this 3-week series, we started with TWIGS. I had all kinds ideas running through my head for this first challenge, but I kept going back to the same thing. Deciding to stick with it, I created a simple WOODLAND WREATH that works with our decor now, as well as into the Christmas season. I like decor pieces that have longevity like that, similar to the Book Page Wreath I created last year. Projects using elements from nature are some of my favourites because they’re usually free and readily accessible. 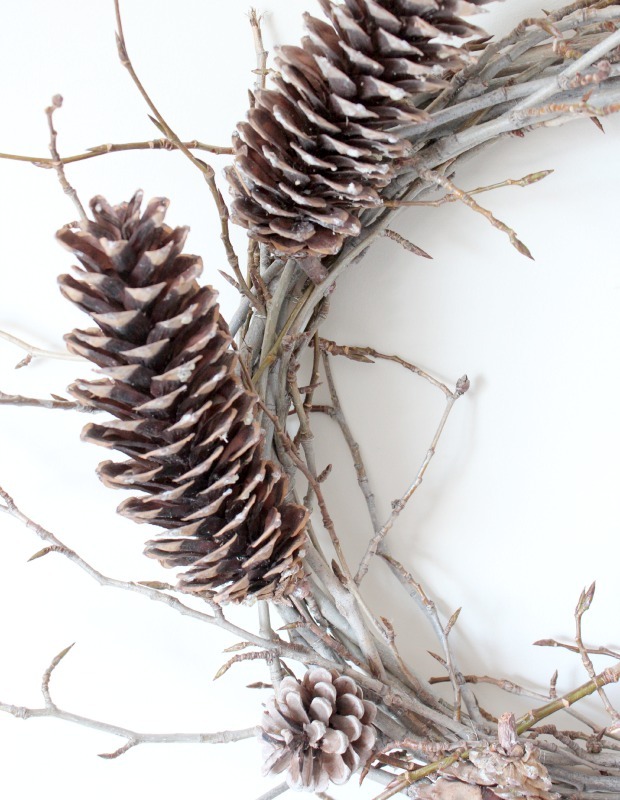 For my project, I took a trip down to the wooded river valley near our house and gathered up most of the materials I required to make this twig and pine cone wreath. 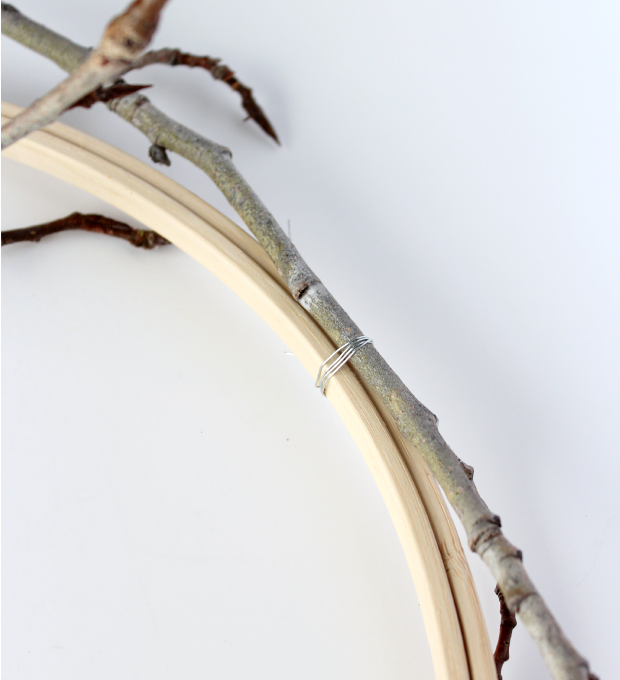 To allow the branches to bend around your embroidery hoop, make sure they are freshly cut. I stored mine in our garage for a week or so and they worked fine. For the pine cones, gather what you can. I ended up buying a large bag of western white pine cones from a local greenhouse for $2 (and only used half the bag). I picked up the bamboo embroidery hoop from Michaels for around $2 with a 50% off coupon. I had the florist wire left over from my jingle bell ornament project. To make this woodland wreath, start by wrapping one of the branches around the embroidery hoop, securing it with wire at the back. Continue working around, overlapping the end of the next branch just after the previous one until the entire embroidery hoop is covered and it looks full and fairly even. I left a few branch ends unattached as I went along to give it a rustic feel. 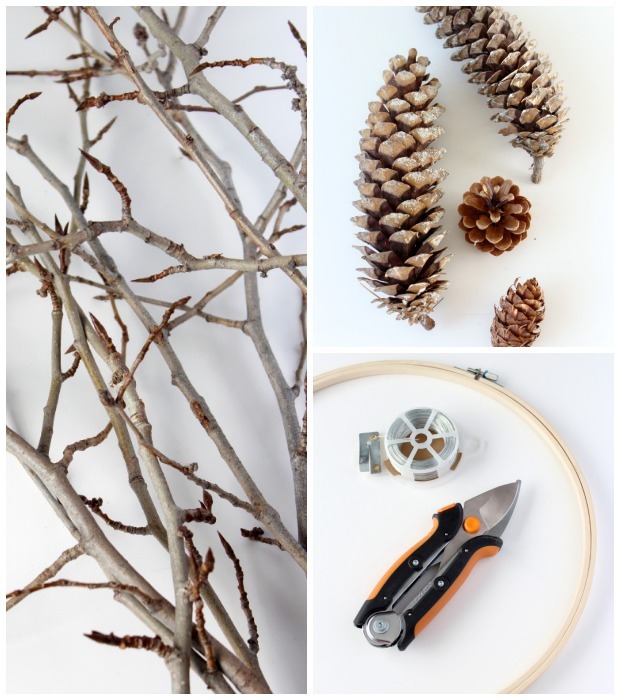 For the bare spots, cut some of the twigs from the branches and wire them in place (I tried a glue gun, but it didn’t seem to want to hold). 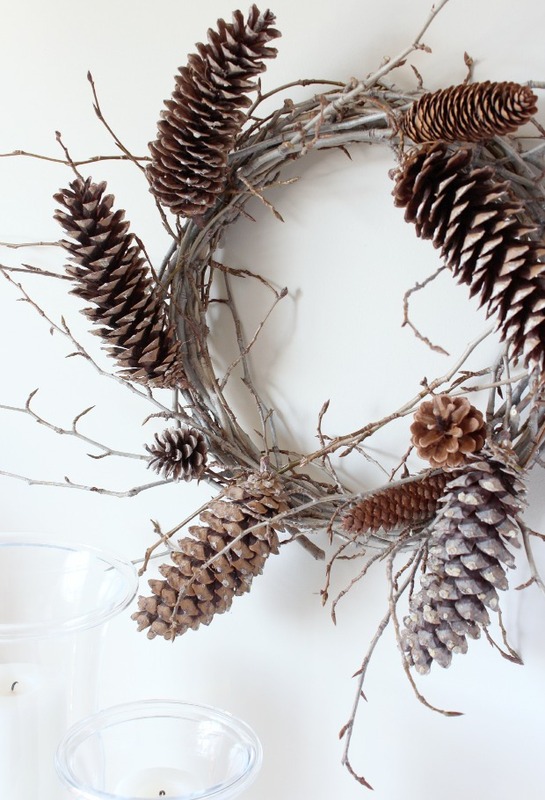 Finally, place the large pine cones where you want them and wire them to the wreath, followed by the smaller ones. So simple! I found it best to get the large pine cones in place, hang the wreath up and then add the smaller ones after playing around a bit. Time consuming, yes. But the cost of this project made it so worth it! 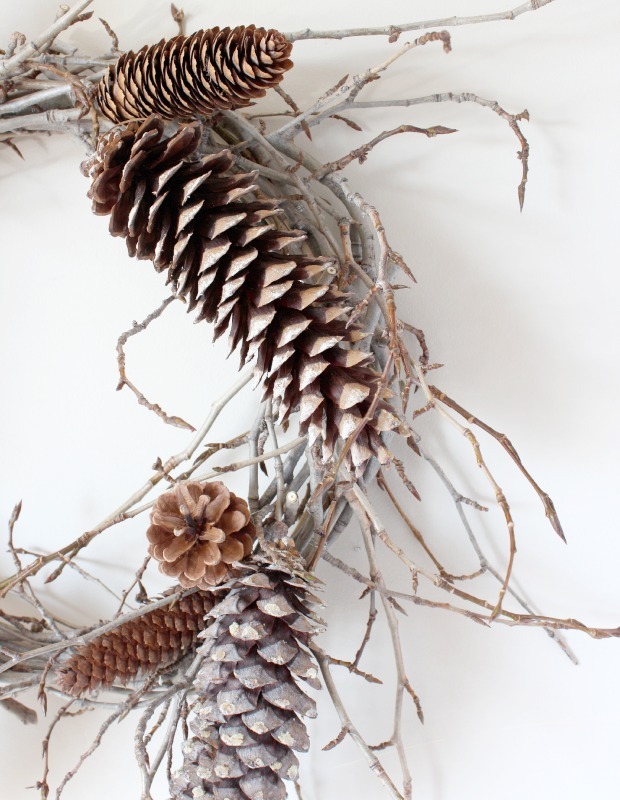 Like this twig and pine cone wreath? Be sure to pin it for later. Be sure to stop by and check out their full tutorials (and maybe even go old school and leave a comment. We love comments!). Wondering what the other craft items will be? Check back next Wednesday to get the scoop! Awesome idea Shauna! Looks like an easy project with stunning results. Thanks so much for asking me to participate! Yes, it was fairly easy, just time consuming wiring it all together. So glad to have you on board this year! It’s really pretty Shauna, I like that it’s a bit season-less too. I’m not much of a wreath person but I might give this one a try! Thanks Lucy! Coming from you that’s a huge compliment. So happy you’re participating this year. Your projects always amaze me! Beautiful wreath! I’m so wreath challenged, but I think I could make one of these!!! thanks for sharing. Typically, I’m wreath challenged too! I’m usually not a fan of them either, but this one turned out better than expected. You should give it a whirl. Took me an afternoon to do, but the low cost made up for the time. Hi Shauna! Your wreath is beautiful, just my style too – simply natural! I have Pinned this for later, I would definitely like to have one of these too. Thanks for the inspiration once again! Shauna this wreath is so pretty, I love twigs, this could be used all the way through winter, pinning!! Thanks for stopping by, Tanya. Enjoy your weekend! This is really pretty Shauna! 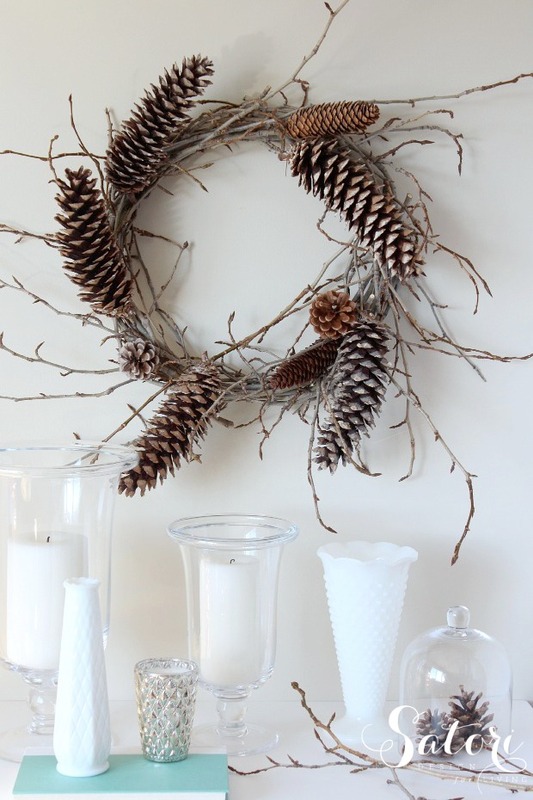 I love how simple and rustic it is, and that it could really be hung all winter! Great idea using the embroidery hoop as the base! OOOh, so pretty Shauna! Love that this will take you from now all the way through the winter. Rustic and classic. Lovely. Love this wreath! I also enjoy using natural beauty around us to decorate with. I might try this for the Christmas season! Not only do I like this project, I love it! I am partial to working with natural elements in decor, especially for the Holiday Season. I just so happen to have a stockpile of hoops I’ve thrifted along the way just waiting for the right DIY inspirations – I just came to the right place! Thanks so much for this great idea, Shauna! Thank you for your kind words, as usual! I was kinda peeved I had to buy the hoop since we donated so many when we cleaned out my husband’s aunt’s house back in August. I kept so much and didn’t think I’d need them- darn! Oh well, it was only $2 or so!